The Assessment and Evaluation Committee’s mission is to enhance the capacity of ASE members in four areas: learner assessment, faculty evaluation, program evaluation, and measurement principles as related to surgical education research. In so doing, we hope to enhance best practices in our field for such things as the ACGME milestones reporting, PGY-1 supervision standards, and the ABS performance requirements. We also hope to promote research on assessment and evaluation methods. We provide an annual workshop on topics related to these domains. The Committee is open to all interested members. Currently, three sub-committee groups are working on (1) a “white paper” on the use of video for assessment, (2) delivering “Assessment 101: Principles and Practices” to ASE members, and (3) delivering “Assessment 501: Advanced Topics” for lead PhD and MD educators who are responsible for establishing assessment “best practices/quality” and teaching others in their home departments. New foci of interest and new sub-committee efforts are encouraged. In line with the ASE’s overall mission of having global impact on surgical education, this committee will support outreach projects and programs which pertain to surgical and educational themes that involve surgeons, residents, or medical students. Such projects might be involved with performing or teaching surgery in countries/areas where resources are scarce, and/or improving healthcare and health awareness in areas of need. The committee will consider all aspects of citizenship and social responsibility and will welcome all ASE members who participate in or who would like to participate in such local, regional, national, or international projects. The Clerkship Directors Committee was formed at the ASE meeting in Tucson in March 2006 to provide a forum specifically for Clerkship Directors (CDs) in which they can share ideas and address problems common to all surgery clerkships. These areas may include but not be limited to curriculum, evaluation, resources, and meeting LCME requirements. All Surgery CDs are invited to be members of the committee. It will meet at the American College of Surgeons Clinical Congress in the Fall and at the ASE meeting in the Spring. The Surgical Education Coordinators Committee is an organization whose mission is to develop resources to support, educate, and inspire student coordinators in surgery. This committee addresses the educational needs of medical students in surgery and is focused on developing effective plans and goals to make the clerkship successful. The Committee provides helpful information and guidance to coordinators and enables them to get involved in group discussions on issues surrounding medical student education. The Committee meets during the Annual Meeting and conducts business via e-mail and conference calls throughout the year. For further information on the Committee on Coordinators, please click here. This committee has been involved in a variety of issues of concern in undergraduate surgical education. Collaborative efforts of members produced the fourth edition Manual of Surgical Objectives for undergraduate teaching and the Surgical Educators Handbook that serves as a navigational aid for educators in a problem based format. The committee has sponsored the “Think Outside the Box” lunch program for sharing innovative teaching ideas at the annual ASE meeting and helped develop the Surgical Interest Group Website for students pursuing surgical careers. Collaborating with the APDS, the first joint “Resident, Student and the Competencies” program was launched during the 2005 Surgical Education Week. Currently we are engaged in the development of a bank of case based power point teaching modules that can be used by faculty or residents for medical student education. Framed after the Manual of Surgical Objectives, these case-based modules, enriched with images and radiographs will enable faculty to guide students through discussions of common problems encountered in surgical practice. We hope this will become a sustainable resource with ongoing contributions from other ASE members. The committee continues to explore innovations in curriculum development and the educational needs of students encountering surgical training as course requisites as well as those pursuing surgery as a career choice. The ASE development committee is a newly formed committee that aims to raise funds for the ASE annual meeting and engage in other activities that support the mission of the organization. The committee’s current activities include innovative efforts to attract sponsors and exhibitors to the annual meeting and promote giving by the ASE membership. Promoting the best in research activities of ASE members by encouraging, coordinating, and stimulating all aspects of educational research is the primary goal of this committee. This is achieved by improving communication, coordinating grant review and funding and sponsoring educational activities. Communication includes informing the membership of educational and granting opportunities as well as mentoring capabilities. Educational activities include sponsoring workshops and related activities for the promotion of educational research skills of ASE members. Other activities include the integration and promotion of educational research within the ASE by forming essential liaisons with other committees. The purpose of the Faculty Development Committee is to assist the ASE members with teaching responsibilities in their development as surgical educators. The committee sponsors workshops at ASE meetings (recent workshops have included interactive sessions on Coaching Towards Excellence in Professionalism and Effective Communication and How Surgeons Teach in the Operating Room) and has developed materials that can be taken from workshops and meetings and disseminated by attendees to surgical educator colleagues at their home institutions. The Committee has developed a teaching dossier, has completed and published a national study on part time academic faculty, and has completed a national survey on volunteer surgical faculty. Currently the Committee is working on a core faculty development curriculum containing short (10-15 minutes) and long (60-90 minutes) modules on a series of 12-24 faculty development topics. Collaboration with the other committees such as the Simulation Committee is ongoing for this project which will produce these modules for members to disseminate to their home institutions. The mission of the Graduate Surgical Education committee is to endorse and promote core-competency based best practices in graduate surgical education that are grounded in sound education theory. The Graduate Surgical Education committee (GSE) was formed at the ASE meeting in Salt Lake City in April 2009 to provide a “home” in the ASE for those whose primary focus is graduate medical education. The committee hopes to promote educational scholarship among residency and fellowship program directors, serving as a group in which “best practices” in surgical education research can be shared. In addition, the committee hopes to expand the reach of the ASE by including surgical directors of other specialities who would like an outlet for their surgical education scholarship; we envision that they too could call the ASE their “home” for sharing such work. 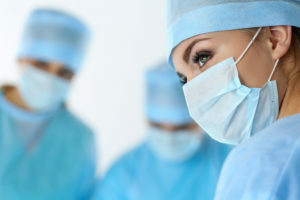 The purpose of this committee is to share information with the ASE membership on how to use computers, computer programs, and the Internet to make the daily activities of the surgical educator easier and more productive. It is for all levels of computer users. It is the goal of this committee to keep the ASE membership up to date on computer hardware, software and on-line services that can make academic life more productive; to develop an Information Technology Committee Bulletin Board on the Internet to help distribute new information; to assist ASE members in using and/or developing computer teaching aids; to be a computer resource for the ASE that can assist the membership in keeping up with new technology; and to offer workshops that provide hands-on training in the use of computer hardware, software and the Internet. Contact the Committee Chair to sign up. The Committee on Membership is tasked with growing the organization by identifying what members perceive as value through ASE membership. Further, we look for opportunities to attract new members whether it be students, trainees, educators, scientists, or human performance engineers. The committee meets twice annually and on teleconference calls. The committee welcomes any individuals interested in helping ASE grow. This committee’s mission is to promote collaborative, multi-institutional research in surgical education. Our current activities include two major projects. One is designed to use the literature to establish what all has been done previously with multi-institutional education research, and the other is aimed at identifying top priorities for multi-institutional research. Our efforts over the next 1-3 years will be to develop a web-based toolkit for people interested in multi-institutional education research and to initiate and conduct one or more projects on identified priority topics. This committee is comprised of nurses who are currently working within their respective Departments of Surgery across North America. Nurse instructors provide increasing amounts of instruction, guidance and support to medical students throughout their surgical undergraduate education. Responsibilities of the Nurse Educators outside of the surgical clerkship include conducting research, participating on departmental and institutional committees, mentoring and collaborating at the local, regional and national levels. In keeping with the association’s goals, the members of this committee have developed objectives so that they can actively participate as colleagues and collaborators. The Committee on Simulation was established in 2009 in response to the increasing role of simulation-based education in surgery. Its mission is to promote the development, adoption, and scientific analysis of simulation-based training for surgeons and related healthcare professionals. The committee is actively engaged with numerous projects and national collaborative activities. Participation in this committee is open to all ASE members. Any interested member is invited to attend our committee meetings during Surgical Education Week and during the American College of Surgeons Clinical Congress Meeting.